I woke up early this morning after an uncomfortable night in the derelict house. 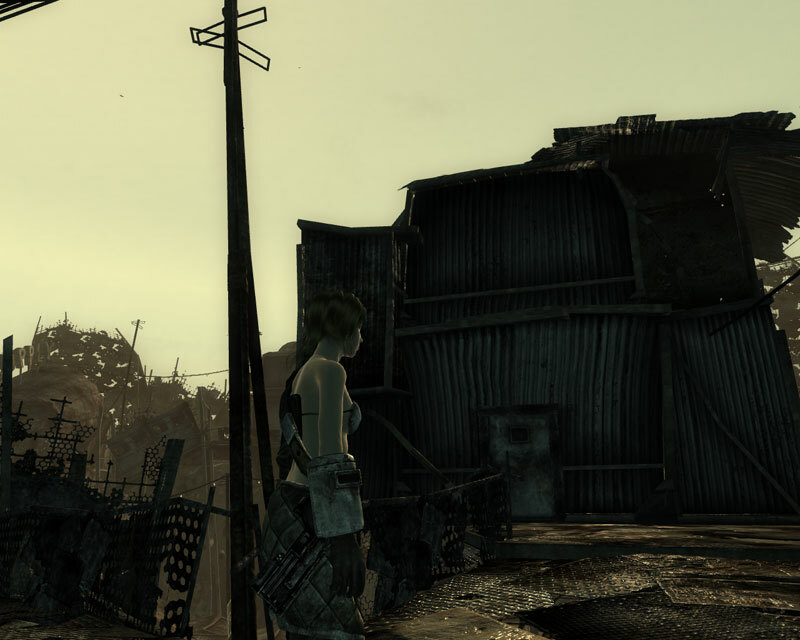 I ate what I had left of the dog meat and headed back to Megaton. It was an uneventful journey, no raiders or strange animals just a long walk in the sun. Just as Megaton was coming into view I had a sudden rush of inspiration about the arming device on the nuclear bomb. I rushed to the centre of town and took a look at it and it turns out I was right, I was able to disarm it. It used a similar arming system to the reactor back in the vault. I deactivated the nuke and quickly found the Sheriff to tell him the news. 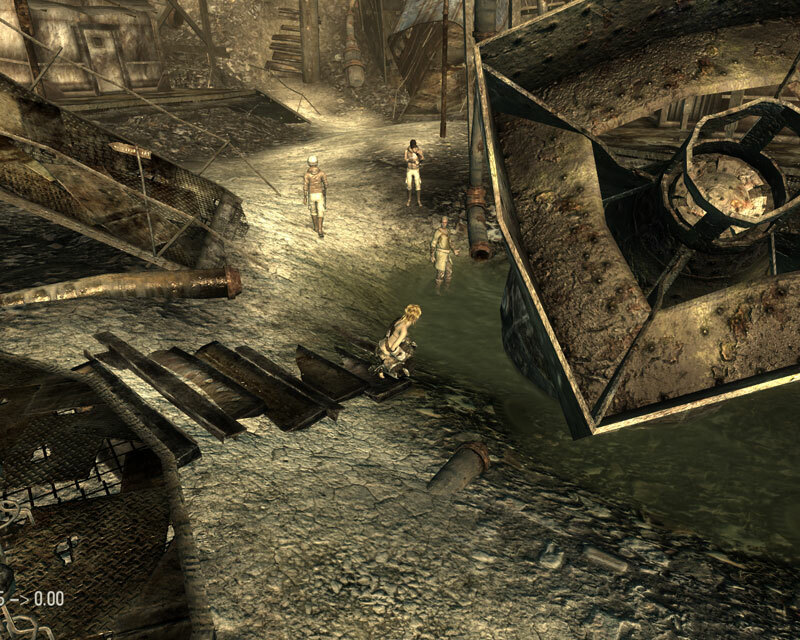 He was of course thrilled and rewarded me with a set of keys to an old house at the back of Megaton. Apparently the previous occupant had been lost to raiders recently. It’s not a palace, but it’s somewhere to live. For the first time in days it feels like I might actually survive out here. 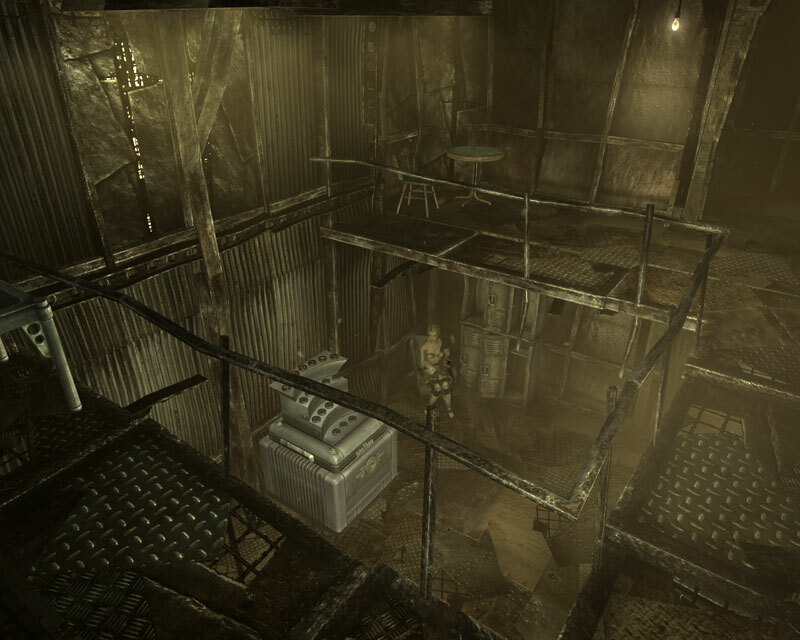 After checking out my house I decided to take a look around Megaton, I’d been here three days and not even seen anything except the supply store. I wandered, spoke to a few of the settlers, even visited the church of Atom. It was clear to me that people here, though friendly are definitely odd, but, perhaps this is the norm outside of a vault. I ended my tour with a trip to the bar Moira has spoken about, it was located on the upper levels. I almost couldn’t believe my eyes when I saw it, it wreaked of desperation. Is this what the human race was doomed to exist as now? Scavengers by day and perverts by night? I walked in. I sat down at the bar and ordered a drink, I tried my hardest to just look at the bar and not let my eyes wonder around, but it’s hard not too look when naked girls dance for half crazed drunk guys. It was the weirdest thing I had ever seen. 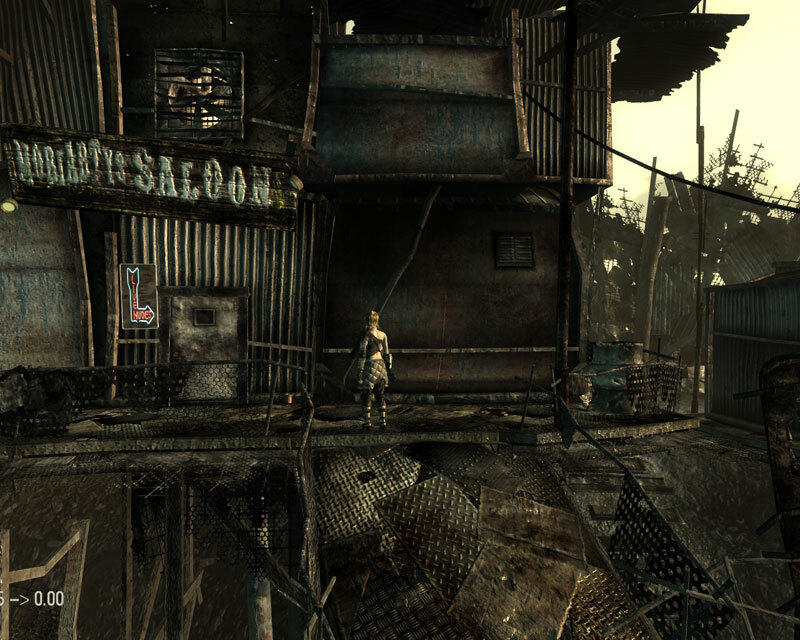 I got talking to the owner and he mentioned a man who had been here, also from Vault 101. I couldn’t believe it, it must have been my Dad! Moriarty told me the last thing the man said was that he was heading out to the source of the Galaxy News Radio Station… Apparently it was located keep in the old city. I left the bar and went for a walk outside the settlement walls to take a look at the path that had been laid out in front of me. The city looked like a huge place and from what Moriarty was saying, there were things in that city that could rip a man in a two. I wasn’t ready. 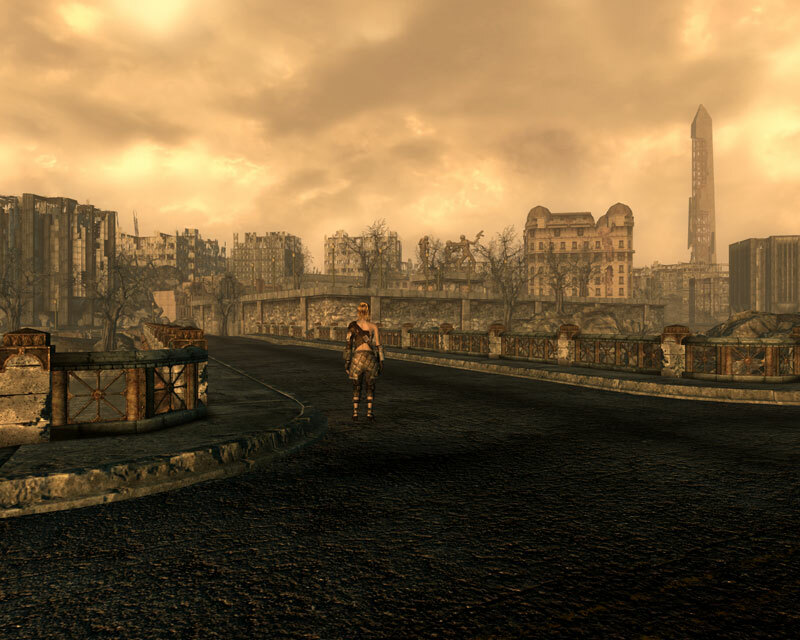 I walked back to Megaton, having decided to learn more before heading to the city. I needed more information, more weapons and more experience with the wasteland before I could search for my dad.